Since 1905, Ateco has supplied fine restaurants and bakeries with quality built, specialty baking tools. Ateco products are internationally renowned for their high quality. And now you can enjoy them at home. When you use Ateco products, you’re not only enjoying quality craftsmanship, you’re also enjoying quality design; the products are a result of over one hundred years and four generations of innovation and development. 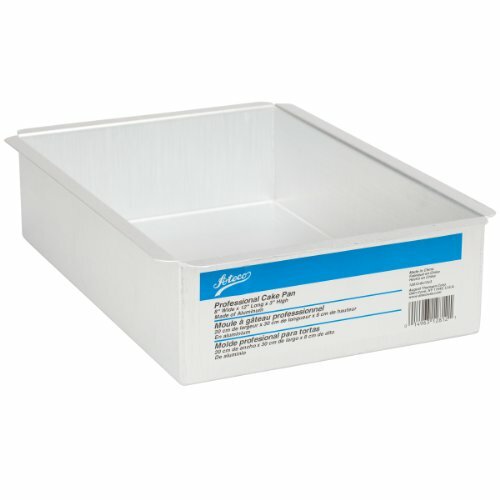 Use Ateco’s 12 X 8 X 3 inch Rectangular Cake Pan while preparing your favorite baked goods and you’ll see why Ateco products are found in fine restaurants and bakeries, worldwide! This professional quality pan is made of 14 gauge aluminum.